For 20 years we've helped families by covering family-friendly events, ongoing support & play groups and a broad range of editorial topics that center around families and children. Our regular contributors are experts in fields related to child development and parenting, including pediatricians, director of clinical services at a social service agency, children's librarian, registered dietitian, and renowned author, teacher and parenting expert among others. In addition to our articles, we encourage our writers to cite other print and online resources with every article, to encourage our readers to further explore the topics that intrigue them. We consider our advertisers to be partners in the business of supporting, educating and improving the lives of our readers by investing in their businesses via Parent & Family. 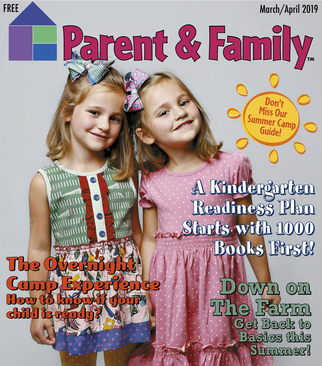 The combination of carefully targeted distribution points and compelling and relevant editorial ensure that each issue of Parent & Family is seen and read by the families of Southern Maine – the very families who are our advertisers' best customers.